Isn’t it fun finding new ways to decorate your Happy Planner weekly layouts? The possibilities seem endless. 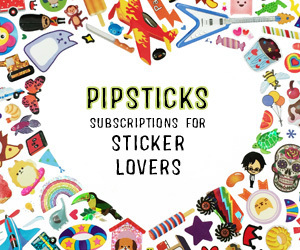 And what makes it even better is when you can find awesome printable stickers for FREE! Save your money for great planner accessories like planner bags and pens! To help us all create a gorgeous weekly layout in our regular-sized (Classic) Happy Planner (HP), Jenn made these fabulous tie-dye printable stickers. The colors are amazing and make you feel at peace just looking at them. You will also get bonus layout components of washi tape-like strips and completion stickers (“X” and checkmark). Free printable stickers can be an easy way to decorate your planner and help you make sure you accomplish all that you need to get done in a week. To get your free tie-dye printable stickers for your Happy Planner, you must first make sure you are subscribed for Planner Squad emails. Once subscribed, you will instantly become a Squadette and receive access to all our subscriber freebies. CLICK HERE or on the image below to go to Planner Squad’s free printables page and subscribe. You will receive an email with your super secret password that lets you unlock the vault of all of our planner freebies. Click here to watch our latest unboxing video! Visit Planner Squad's profile on Pinterest.